All dogs have a superior sense of smell compared to humans and can oftentimes sniff out scents that would be impossible for us to detect. However, some in particular are adept at sniffing out scents which makes them perfect in detection fields or as service dogs. 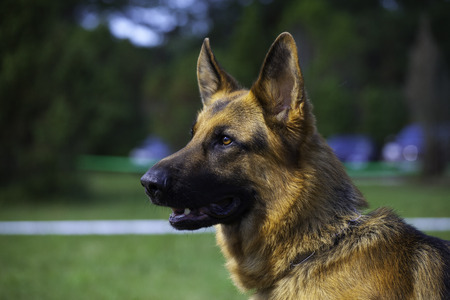 Here are a few of the top breeds with a nose for detection! This breed has a keen sense of smell and are known to use their noses rather than their ears in hunting scenarios. In fact, bloodhounds were used for centuries to help find missing persons. These dogs are frequently seen working for law enforcement for a good reason; their sense of smell is elite, and they are skilled at tracking, helping officials detect drugs, explosives, etc. 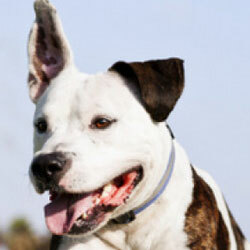 They are also loyal and hardworking dogs, which add to their already exceptional tracking abilities. These dogs are known as scent hounds, even though they are not usually seen on a detection team. They possess a strong desire to track a scent trail and their short legs keep them in close proximity to the ground, helping them to more accurately follow their target. Labradors are one of the most popular breeds in the US, and their sense of smell has helped them earn the title of great service dogs. 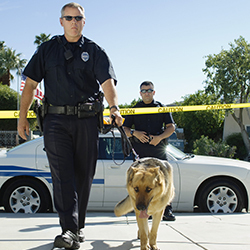 They are often utilized for their ability to detect narcotics and explosives, and for search and rescue missions. 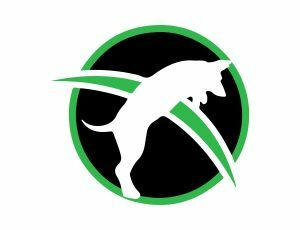 Through Conifer Canine, we offer dog training courses for detection of: drugs, bombs, cadavers, bed bugs, cancer, contraband, etc. However, if you’re interested in becoming a scent detection dog trainer or a K9 instructor yourself, then look no further than Dog Trainer College. We have a scent detection dog trainer course, K9 instructor course, and more to cater your certification to your specific needs. Give us a call at 812-650-2394 today to learn more!